PARIS (AP) — Designer Clare Waight Keller unveiled her first menswear collection for storied house Givenchy at Paris menswear week Wednesday as actress Laura Dern caught up with The Associated Press at Valentino's display that channeled the darkly depths of monochrome. Dern spoke about how, as a mother of a budding model, she is taking a particular interest in the fashion industry. Here are some highlights of the fall-winter 2019-20 shows. Nicole Kidman has given 'Big Little Lies' fans a sneak peak of Meryl Streep in the HBO series. The 50-year-old actress plays Celeste Wright in the hit drama - which revolves around a group of mothers who become embroiled in a murder in their apparently quiet suburban neighborhood - alongside Reese Witherspoon, Shailene Woodley, Zoe Kravitz and Laura Dern and she has taken to Instagram to share a picture of Streep, 68, joining the cast as Kidman's mother-in-law. Laura Dern is eager to learn more about her 'Star Wars' character Vice Admiral Holdo. The 51-year-old actress portrayed the character in the eighth instalment of the hit sci-fi franchise 'The Last Jedi' which was helmed by Rian Johnson, but although Holdo is last seen crashing her Resistance ship into the enemy fleet, her death is not seen on screen. Many fans speculated she actually managed to escape, and the actress admitted it would be "heartbreaking" not to return to the franchise. Laura Dern to cameo in Jurassic World: Fallen Kingdom? Jeff Goldblum has hinted that Laura Dern could be making a cameo in 'Jurassic World: Fallen Kingdom'. The 65-year-old actor is reprising his role from the original 1993 movie 'Jurassic Park' as chaos theorist Dr Ian Malcolm in the upcoming dinosaur film. And Jeff teased Laura, who also starred in the original blockbuster, may be set to join him as paleobotanist Ellie Sattler. LOS ANGELES (AP) — There are cameras everywhere at the Academy Awards, but some of the most intimate celebrity moments at the show still manage to escape the lens. LADY-BIRD BONDING: Greta Gerwig and Laura Dern shared some poignant moments backstage before presenting the documentary award. On a night featuring real-life heroines, many actresses went for something strong and bold on the Oscar red carpet — something metallic. Jennifer Lawrence, Lupita Nyong'o, Gal Gadot, Salma Hayek and Sandra Bullock literally shimmered in gold and silver gowns. They stood out on a carpet that starred mostly whites and neutrals. There were bold reds and classic whites, warrior-worthy golds and playful pops of pink and purple on the Oscars red carpet, but the fashion takeaway seemed more about keeping the clothes out of the way so the conversation could turn to pressing matters: Honoring history, standing up for women and supporting diversity. Enough with the Oscars already. Its just an expensive prom night where rich people dress up to give one another prizes. Here are the accomplishments that really should be noted. Were not doing the Academy Awards anymore. Were doing the Covert Commendations. Best Feature Film Made in Minnesota (Yes, I Know the Bar Is Low): Woody Harrelson and Laura Dern were outstanding in the cockeyed family comedy/drama Wilson. If you missed it, its really worth seeing. No kidding. Chadwick Boseman, Tom Holland, Viola Davis and Emma Stone are some of the stars presenting awards at this year's Academy Awards. Film producers Michael De Luca and Jennifer Todd revealed today the first 12 celebrities who will be handing out statuettes at the annual ceremony - which will be hosted by Jimmy Kimmel - on March 4 and in keeping with tradition, they include past Academy Award winners. Other names include Mahershala Ali, Laura Dern, Jennifer Garner and Tiffany Haddish. LOS ANGELES (AP) — "Black Panther" star Chadwick Boseman, "Girls Trip" breakout star Tiffany Haddish, "Lady Bird" author Greta Gerwig and "The Big Sick" co-writer and actor Kumail Nanjiani are set to appear at the 90th annual Academy Awards. Producers of next month's telecast announced the show's first round of presenters on Friday. LOS ANGELES (AP) — Meryl Streep is starring in season two of "Big Little Lies," adding more woman power to the Nicole Kidman-Reese Witherspoon drama. HBO said in a statement Wednesday that Streep will play Mary Louise Wright, mother-in-law to Kidman's character, Celeste. Mary Louise comes seeking answers about last season's violent death of her son, Perry, played by Alexander Skarsgard. LOS ANGELES (AP) — Meryl Streep, Michelle Williams, Emma Watson and Amy Poehler were among eight actresses bringing gender and racial justice activists as their guests to Sunday's Golden Globe Awards in an effort to shift the focus back on survivors and solutions, and away from those accused of sexual misconduct. Streep walked the red carpet with Ai-jen Poo, director of the National Domestic Workers Alliance. NEW YORK (AP) — The actors from HBO's limited series "Big Little Lies" will have quite an internal competition at the Golden Globes next month. Powerhouse actresses Nicole Kidman and Reese Witherspoon are both nominated for best actress for a limited TV series, while colleagues Laura Dern, Shailene Woodley and Alexander Skarsgard are up for supporting awards. The Globes announced their television nominations on Monday, and the HBO series led the way with six nods. Kelly Marie Tran todavía no puede creer que está en una película de Star Wars. La debutante de 28 años estaba a punto de renunciar a su sueño de ser actriz cuando obtuvo un papel estelar en "The Last Jedi" ("Los últimos Jedi"). 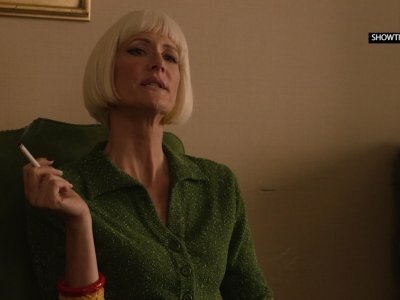 Así que después de pasar años esforzándose esperanzada y realizando trabajos temporales, Tran ahora es una estrella de cine - el tipo de persona que se toma de la mano con Laura Dern en eventos de prensa y considera a Gwendoline Christie una buena amiga. LOS ANGELES (AP) — Kelly Marie Tran still can't quite believe she's in a Star Wars movie. The 28-year-old was about to give up on her dreams of becoming an actress when she landed a breakthrough role in "The Last Jedi." So after years of toiling and hoping and working disposable jobs, Tran is now a movie star, the kind of person who holds hands with Laura Dern at media events and considers Gwendoline Christie a good friend. Laura Dern has claimed she was sexually harassed when she was a teenager. The 'Big Little Lies' star has revealed she was reminded by her mother, Diane Ladd, that she was allegedly assaulted when she was only 14-years-old, and up until that point she had been "justifying" the inappropriate behaviour. It’s fair to say Jermaine Fowler stole the Emmys show on Sunday night. In between award presentations and host Stephen Colbert’s segments, Fowler injected humor and energy into the three-hour-long show at Los Angeles’ Microsoft Theater. 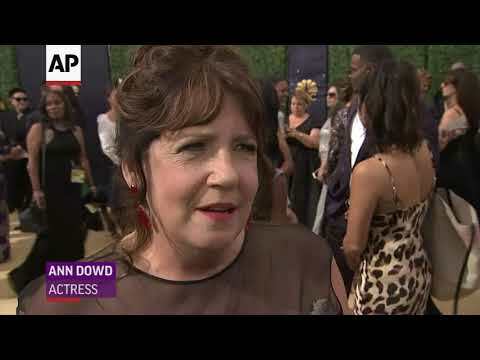 LOS ANGELES (AP) — Actress and comedian Jackie Hoffman says she can't believe the media took her reaction to losing out on an Emmy seriously after she yelled an obscenity on camera during the show. Hoffman was up for outstanding supporting actress in a limited series or movie for her role in "Feud: Bette and Joan." She lost to Laura Dern, who took home the statue for her work in "Big Little Lies." After Dern's name was announced on Sunday, Hoffman could be seen yelling in her seat. A galaxy far, far away, a TV legend front and center in an adaptation with a modern twist, and an adorable lion cub were the stars of the live-action presentation at Disney's D23 event, at which the studio unveiled multiple highly anticipated sneak peeks on Saturday. Among the most anticipated first looks was that for "Star Wars: The Last Jedi." LOS ANGELES (AP) — Blake Lively is set to star in an adaptation of the best-seller "The Husband's Secret," from "Big Little Lies" author Liane Moriarty. CBS Films said Thursday that Lively will play Cecilia Fitzpatrick in the film and also executive produce. The character is a model wife and mother who discovers an unopened letter from her husband that says to open only in the case of his death. The curiosity and eventual revelation sends her life into a spiral. NEW YORK (AP) — May the 4th be with you, Laura Dern, and darn all the mystery surrounding the character you'll play as one of the latest additions to the Star Wars galaxy. The actress, in town Thursday to support a family health-focused global initiative, was tight-lipped about her role in "Star Wars: The Last Jedi," which opens in December. 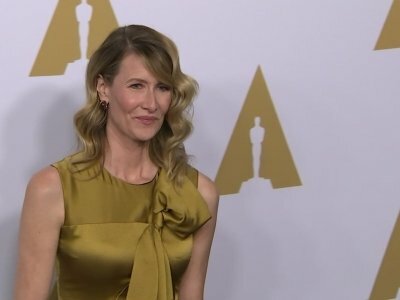 Laura Dern could be set to run for Film Academy President. 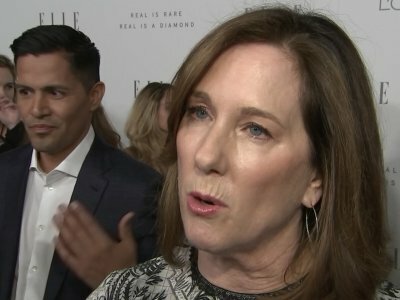 Cheryl Boone Isaacs' term as head of the Academy of Motion Picture Arts and Sciences will end in July and Variety reports that Laura's "is interested in taking the reins after being elected to the board of governors last July". Laura is the daughter of Hollywood legends Bruce Dern and Diane Ladd. Smart Rating: 93.37Spielberg's role: DirectorGenre: Adventure, action, science fiction, thrillerStarring: Sam Neill, Laura Dern, Jeff GoldblumIn Steven Spielberg's massive blockbuster, paleontologists Alan Grant (Sam Neill) and Ellie Sattler (Laura Dern) and mathematician Ian Malcolm (Jeff Goldblum) are among a select group chosen to tour an island theme park populated by dinosaurs created from prehistoric DNA. While the park's mastermind, billionaire John Hammond (Richard Attenborough), assures everyone that the facility is safe, they find out otherwise when various ferocious predators break free and go on the hunt. U.S. box office (inflation-adjusted): $795,124,900Smart Rating: 93.37Release year: 1993Starring: Sam Neill, Laura Dern, Jeff GoldblumIn Steven Spielberg's massive blockbuster, paleontologists Alan Grant (Sam Neill) and Ellie Sattler (Laura Dern) and mathematician Ian Malcolm (Jeff Goldblum) are among a select group chosen to tour an island theme park populated by dinosaurs created from prehistoric DNA. While the park's mastermind, billionaire John Hammond (Richard Attenborough), assures everyone that the facility is safe, they find out otherwise when various ferocious predators break free and go on the hunt. Wilson (Woody Harrelson) is the kind of guy you’d cross the street to avoid. No stranger is safe from his eager attempts to start a conversation or his total obliviousness to social boundaries. But he’s desperate to make some new friends. PARK CITY, Utah (AP) — Woody Harrelson recently confirmed he's playing Han Solo's mentor in the next "Star Wars" movie, but the actor jokes about his own ability to lead. "I wouldn't choose me," the actor shrugged and then laughed at the premiere of "Wilson" at the Sundance Film Festival in Park City, Utah. Harrelson will play Garris Shrike. He also said the movie, which doesn't yet have a title, begins shooting in March. LOS ANGELES (AP) — Ava DuVernay doesn't want to talk about Donald Trump's election. Her feelings are still too raw. But because Oprah Winfrey asked about it, the filmmaker opened up: Trump "represents violence," DuVernay said, and she doesn't have much empathy for those who supported him. She made the remarks Sunday during a discussion about "13th," her documentary about the prison industrial complex and the disproportionately high number of black men behind bars. Smart Rating: 93.37Release year: 1993Starring: Sam Neill, Laura Dern, Jeff GoldblumAn entrepreneur invites scientists (Sam Neill, Laura Dern), a mathematics theorist (Jeff Goldblum) and others to his jungle theme park featuring dinosaurs regenerated from DNA.